Add Your School - Advertise Your Criminal Justice School to 40K+ Students! Criminal Justice Career Now can help. 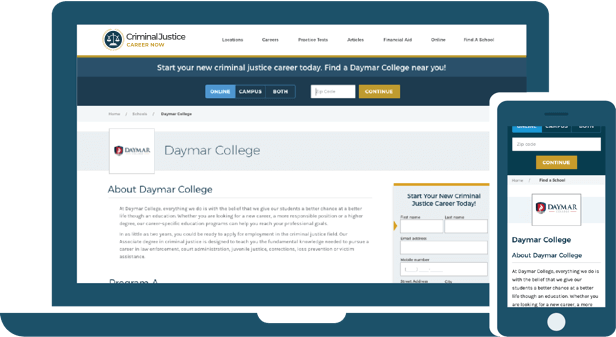 Every single day, thousands of potential students visit Criminal Justice Career Now in search of an online or a campus-based training program. Criminal Justice Career Now matches students with the best schools in the country. We fill your classrooms with the students you need to create the next generation of paralegals, legal assistants, policemen and women, and more. Get in touch with us to add your school to our network and boost your enrollments!